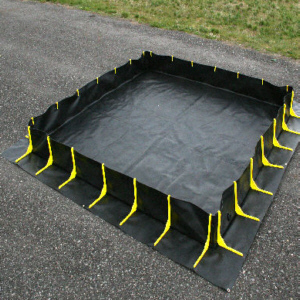 Secondary Containment Berms | GeoCHEM, Inc.
Our flexible secondary containment berms are fast and simple to set up and use offering a versatile and reliable solution for containment and protection. We offer a wide variety of standard sizes of liquid containment tanks and pillows as well as customer specified sizes to meet your needs. Our products are environmentally friendly and meet EPA Pesticide Container Regulations set forth in 71 FAR 47330.